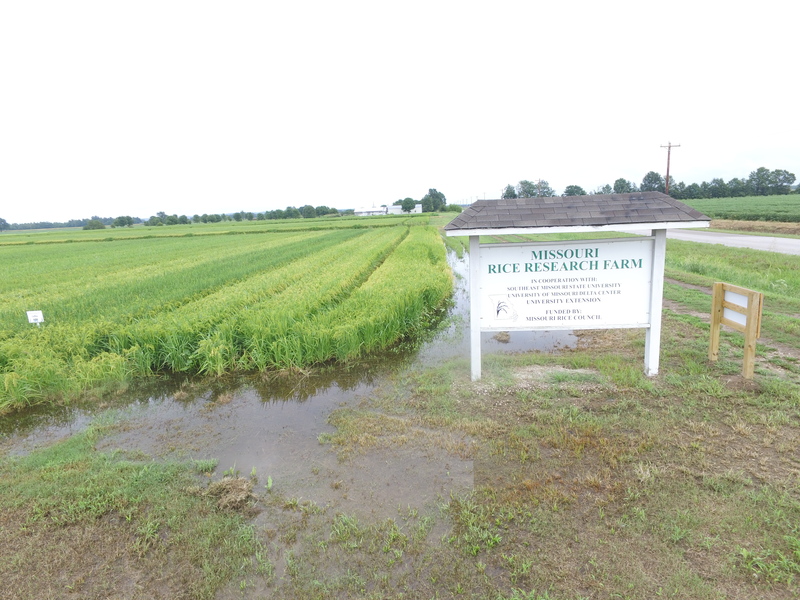 The Missouri Rice Research Farm provides ideal conditions for testing and research. The Missouri Rice Research Farm has 110 acres of fine textured soil eminently suitable for rice production. The farm is partitioned in paddocks that may be further partitioned for individual experiments requiring different watering regimes. The farm has a computer monitored weather station providing continuous measurements of solar radiation, atmospheric and soil temperatures, relative humidity, wind speed and direction, and rainfall. Centrally placed wells provide water to the individual paddocks. Cultural practices are performed with 7410 and 6310 John Deere tractors, with a variety of tillage tool sufficient for any soil preparation for the culture of either rice or soybeans. The farm has an Almaco cone-type seeder for planting seven rows for establishing 60 inch wide plots and an Almaco self-propelled plot combine, complete with Psion electronics to record harvest data. The farm further owns a self-propelled Mitsubishi one-row binder to assist the breeding program. In addition, the farm possesses a complete machine shed with associated head house for seed and fertilizer preparations. 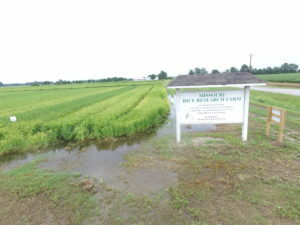 At Southeast MO State University-Malden, the Rice Farm has computer facilities for statistical analysis and laboratories for seed analysis.